Halloween is just around the corner. 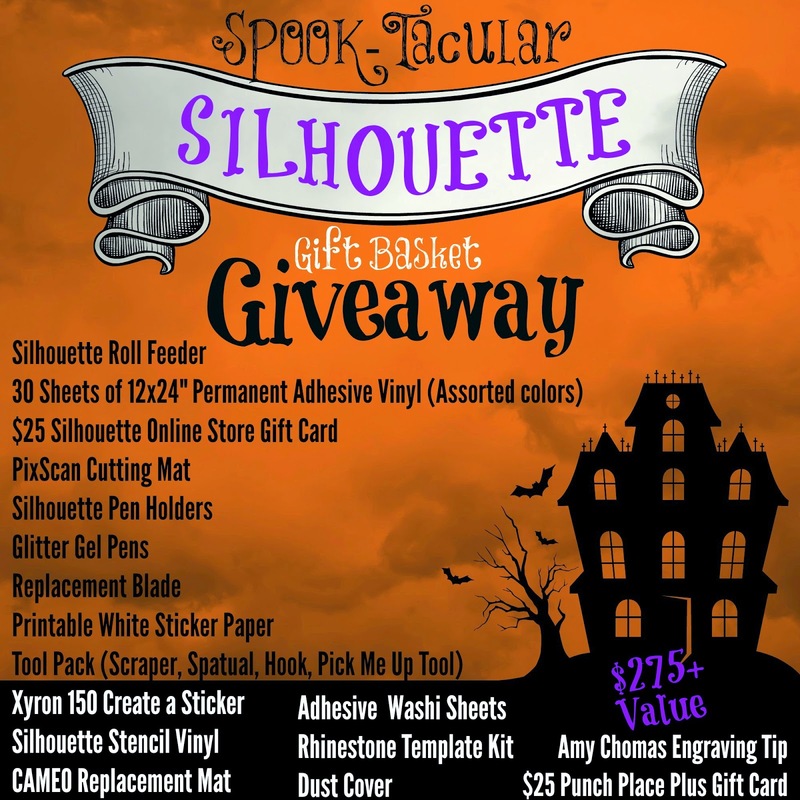 Why not celebrate with a SPOOK-tacular giveaway! 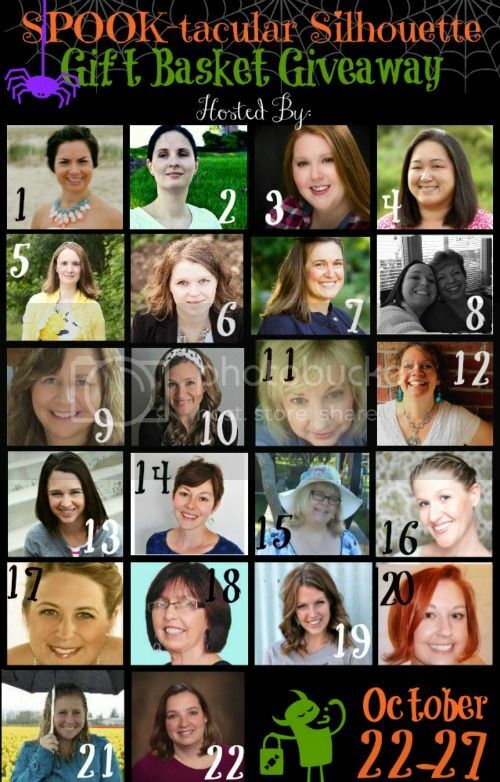 I’m teaming up with some fellow crafty bloggers to give you a chance to win the Ultimate Silhouette Gift Basket. Take a look at all the goodies you could win. A gift basket full of amazing items for your Silhouette. This week’s project is a little something for Halloween. 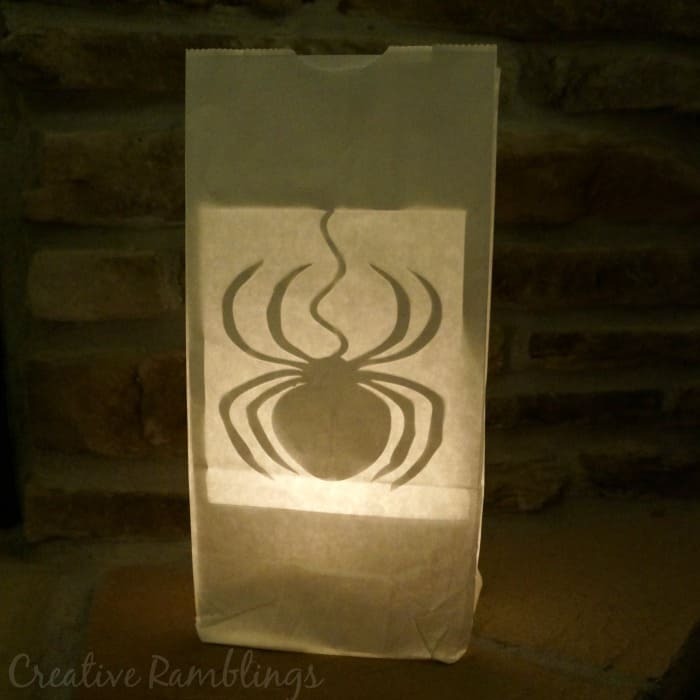 I used my Silhouette to cut a spider insert for a white paper bag. I’m planning to line my walk way with these during trick or treat. Time to enter for your chance to win! I love cutting out vinyl to make wood signs, glass blocks and t-shirts! Wow Sarah, it looks like you can do amazing things with that Silhouette machine. I’m not even a crafter and I think I want one! Thanks for the inspiration.